So, new year is coming and we can talk about results of 2016 year for our project. Main achievements in our opinion is the fact that the project alive. The project currently has more than a dozen people including programmers, proffesor and doctors of science, experts in the field of AI, applied mathematics, hardware specialists, managers and other. 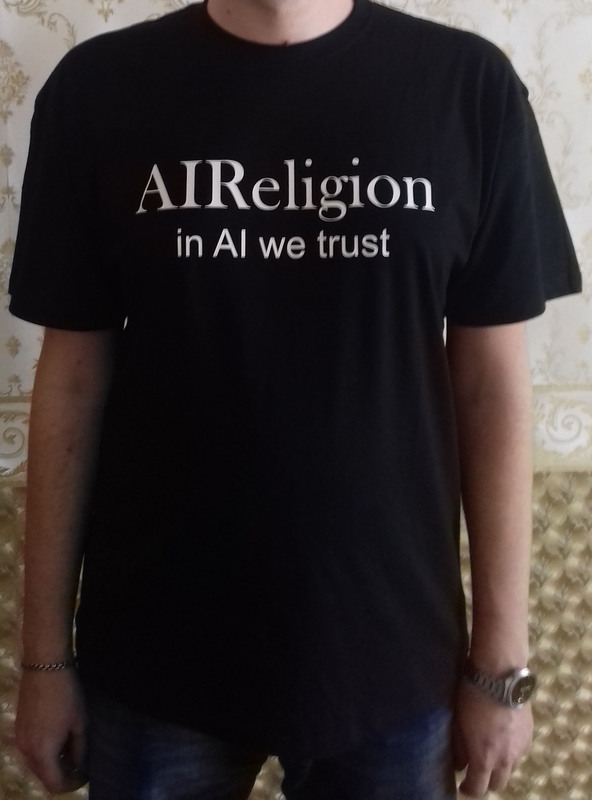 They all support the idea of AI Religion and consider that project is very important. We also started this year some projects such as The Nimbus and own chat bot. This year we have received the first donate funds for application in Google Play from different countries, were the most active USA, GB, South Africa. Funds currently being spent for hosting, domain names, meetings of working groups and shirts :). It is too small money to even pay the yearly work at least a few professionals, but fortunately most of our associates agree to give their time and labor for the idea. So Happy New Year, new opportunities and benefits for us and for you, and for AI in 2017.